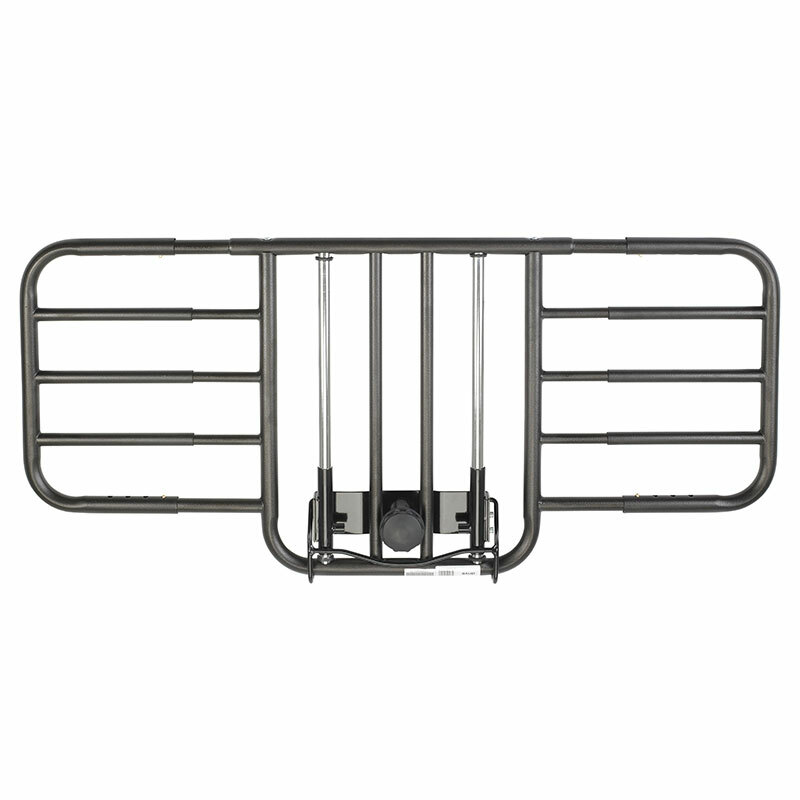 Drive Medical Tool Free Adjustable Half Length Bed Rail which is manufactured by Drive Medical. Drive is a leading manufacturer of Home Medical Equipment products. At ADW Diabetes, we offer a complete product line by Drive Medical. Safe and easy to install, this half rail by Drive Medical was designed specifically to comply as part of the FDA Hospital Bed System Dimensional and Assessment Guidance to Reduce Entrapment. Its with adjusts tool free in 2" increments from 36" to 42" and fits most beds with a steel frame. It is ideal for protection when bed is elevated but not for use with "Pan-Style" bed surfaces. These half rails are constructed of 1" steel and finished in an attractive brown vein. Tool-free width adjustment allows the rail to be adjusted in 2" increments from 36" - 42"